The 2018 Autumn Hyojeong Cheongpyeong Great Works began at 6:20am on October 19th with opening prayer. 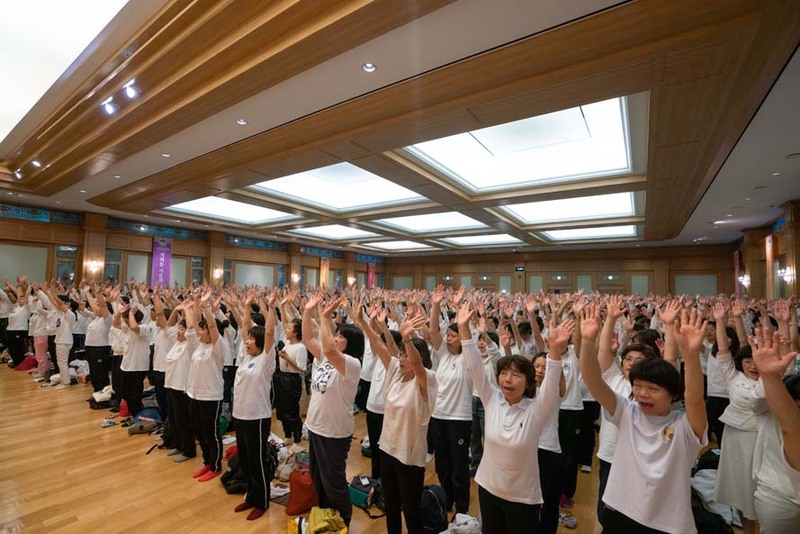 A lot of members from around the world who are on their way to the victory of Vision 2020 gathered at the Jeongshim Won prayer hall to attend the first event of the Great Works. Members from all over the world honored the event with great enthusiasm. “You will be able to be victorious if you harmoniously unite with True Parents in heart, body and mindset. After Vice President Myong-kwan Lee led us in song and praise with “Grace of the Holy Garden,” he said, “It’s time for everyone to gather their sincerity, heart and soul and offer their prayers to Heavenly Parent and True Parents with a loud voice.” He then led us in “Danshimga” (The song of devotion) and shouts of “Eog-Mansei” three times, reporting the start of the Great Works to Heavenly Parent and True Parents. All the people who attended the first program of this Great Works, the “Opening Prayer,” received great blessings.